Sometimes the answers are there all along, but you don’t pay attention. Hints and glimpses, warning signs and yellow flags galore, but you push them away. Gut feelings, you rationalize and talk your way around. Until the day comes, when things can no longer be ignored. You are slapped in the face with the hard hand of reality. Your insecurities no longer to blame. Surprised, bewildered, confused… those are the emotions you portray. You fool yourself into thinking you were blindsided. But under it all, you already knew, didn’t you? You knew things were a little wonky. You knew the scales weren’t balanced. You knew something just didn’t make sense. No need to lay blame. You may or may not be at fault for the final fissure, but you knew. You know that you attach meaning where there is none. You know that you pretend words are universally the same. You know that if you are in, you are ALL in. You know that feelings get you hurt. Just like you knew it was dangerous. Just like you knew the fall might break you. Just like you knew that nothing is equal, nothing fair. But now you know for certain. You cannot go back to the blissful ignorance. The flags, the signs, the warnings that you kept at bay, they bombard you now. They demand to be heeded. They are insistent and plentiful. And they all add up to fucked. You feel stupid, blind, exposed. You are vulnerable and lost. You reassess and you try to reconcile the new with the old. You try to find your way in a world that is [not so] suddenly upside down. Everything is only how it ever was. You blink and stretch as you adjust to the harsh light. You grasp to hold on, but the dream fades to black. The best things are born in the blackness! The blackness that devours the dreams becomes a clean slate. Oh, yes, I know you don’t even believe in completely clean slates. 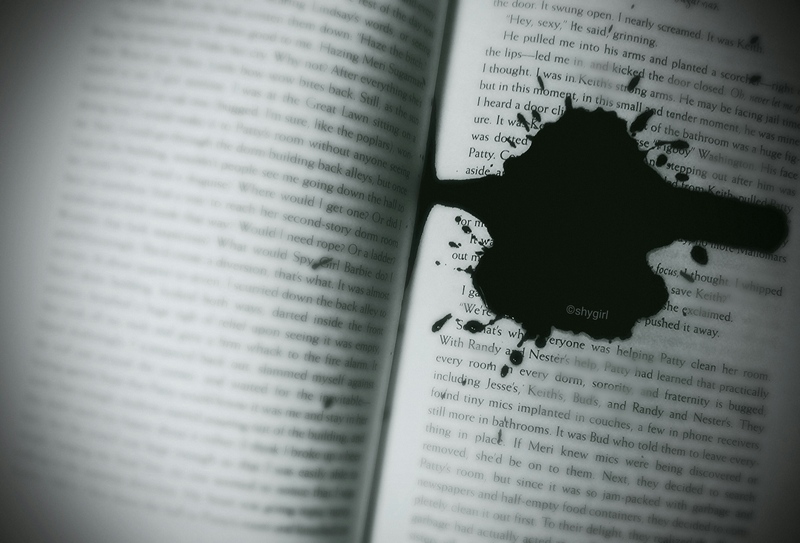 So then…You should think of the void as a spreading spill of ink, blotting out some of the words. It is for the better, there were far too many words anyway. You grab a pencil and doodle. Your boat is not perfect, nothing is. The edges bleed, the black ink seeping ever outward. The boat becomes distorted, abstract. That’s okay, because you know it’s a boat. You also know it will survive, come hell or high water. The dream may have faded to black, but now it’s a boat. And the boat will carry you to a reality full of light. This entry was posted in glimpse inside my noggin by shygirl. Bookmark the permalink.